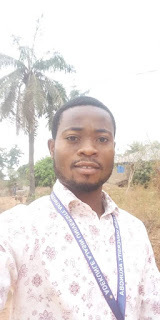 Home / Campus Gist / NUESA ELECTION: "I Am Not Here To Start Afresh" - Master Key. NUESA ELECTION: "I Am Not Here To Start Afresh" - Master Key. In an interview with the newly elected President, he regarded the electioneering process as free and fair. He acknowledged the reasons for the delay in the election, which should have been conducted was due to the ASUU strike and insufficient resources which made the caretaker committee to borrow funds. He pressed further by saying there were rumours going around as regards the election, that the electoral committee were being bribed to work against him, which he regarded rumours as inevitable in politics. He said during his investigation, he discovered that the rumour was false and he also said that the electoral committee wasn't biased and they were neutral as they ought to be. The president, in his response on the issue of what he aim to achieve during his tenure, he says "I just want to build on what he (Barrister T) left on ground, I am not starting afresh, he has laid a foundation, we need continuity." According to the information reaching us on the NUESA election, it was discovered that the ballot papers were counted at the security unit, which we confirmed and he gave the reason being that there were 3000 ballot papers printed and there was need for accountability and also to ensure fee and fair election. In absence of Electricity in the building used for the election, they had to count the vote at the security unit. He assures of unity in his administration, which he claims that the faculty lacks and he also plan working hand in hand with the students representative committee and the secretariat members to achieve the goals of the faculty as a whole. In conclusion, he affirms that the financial statements of the union will be pasted at interval to ensure transparency and accountability.